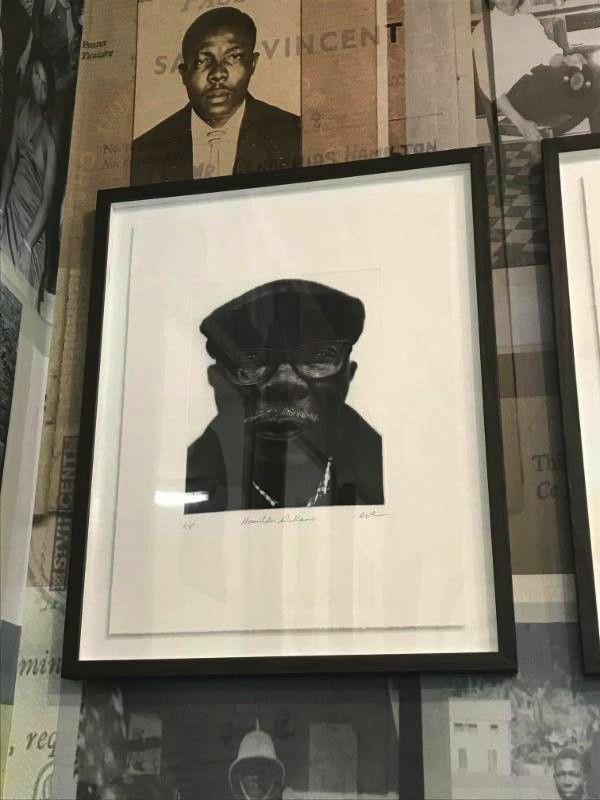 A sound and art site specific installation of photo-etchings & stories from Essex Windrush Caribbean elders is on display at S&S Caribbean Café Colchester Essex. 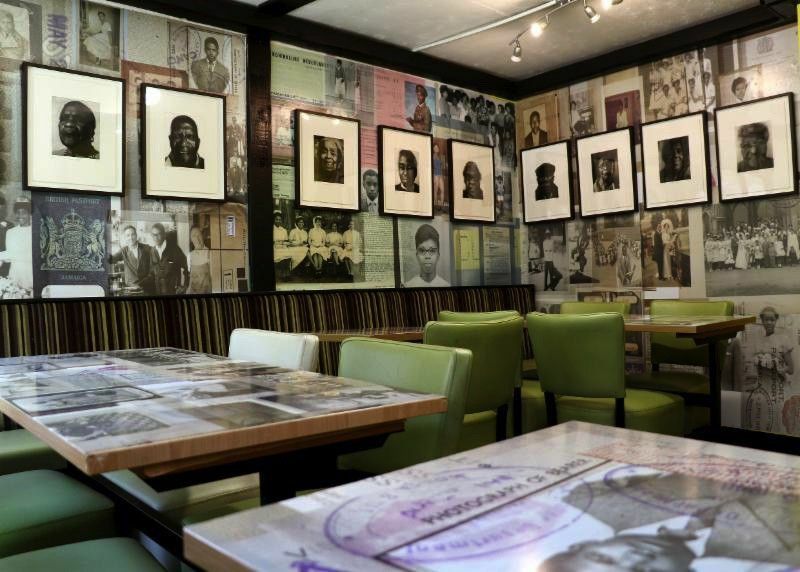 The launch celebrates the Windrush 70th anniversary. 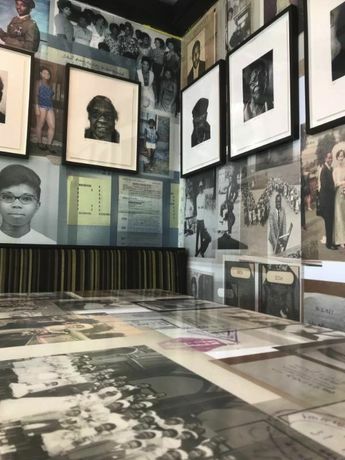 Caribbean Takeaway Takeover : Our Memories, Our Stories, a sound and art site specific installation that recorded the stories of ten local Caribbean elders from the Windrush generation, who live in, or have connections with, Essex. In addition, ten exclusive limited-edition photo etching portraits of participants, produced by artist EVEWRIGHT will be displayed. It's part of a project made possible by National Lottery players through a grant from the Heritage Lottery Fund (HLF). Ten selected Caribbean elders from the Windrush generation, who arrived in the UK between the 1940's-1960's shared their stories with the public using voice and sound recordings. Their stories reveal their journeys, the impact of their contribution to British society and their legacy. 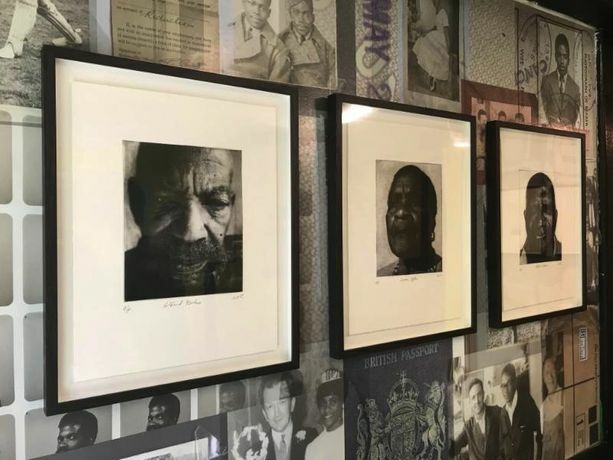 EVEWRIGHT devised a further intervention in the takeaway café space created wall and table collages in conjunction with special limited-edition portraits of the participants using photo etching as a medium. 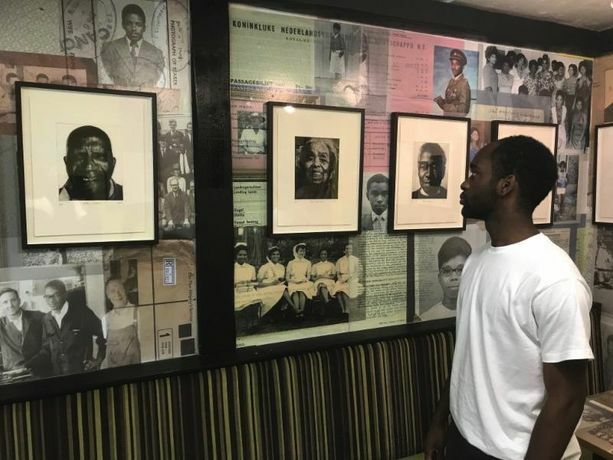 The art installation is an immersive experience which depicts present images but also fading thoughts, aspirations and memories created to document and reflect participants lives. The exhibition will remain insitu till 22 July 2018. Join us to hear these elders’ stories in their own words. See our programme of activities, take part by adding your or your parents’ names on our memory wall, sample Caribbean cuisine at this working cafe and takeaway a slice of history.